The first and the obvious step to a perfect family lunch is a genuine wood table. The biggest perk of going with genuine wood is that it always stays in trend — even though for a brief moment, some other tendencies may take the lead. The same applies to soft fabric chairs. Not only is fabric one of the most affordable upholstery materials, it is also one of the most practical ones. 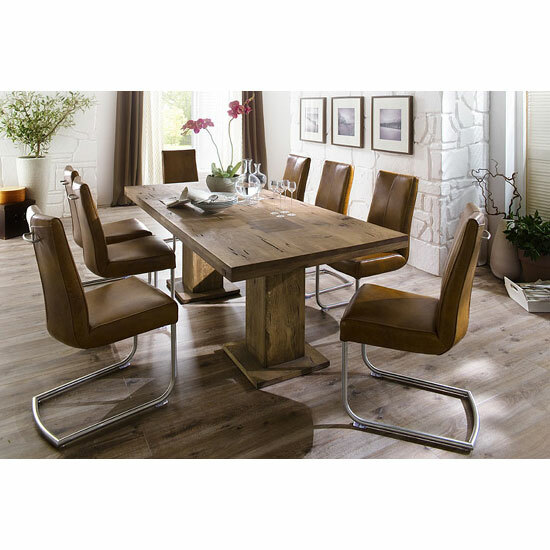 It offers one of the most interior neutral decoration solutions for any dining room type. No matter if you go with textile, velvet, or leather chairs, choose relatively neutral shades — they tend to stay in your interior for a longer time. If you for with prints, do not go for bright, obtrusive ornaments — try to keep it simple. Even though prints are perfect for a traditional dining room, you should still consider bright, mono coloured chair designs. This idea is simply amazing for a dining room that is designed in one colour mostly — for example, in a white setting, bright chairs will add splashes of colour to the interior. 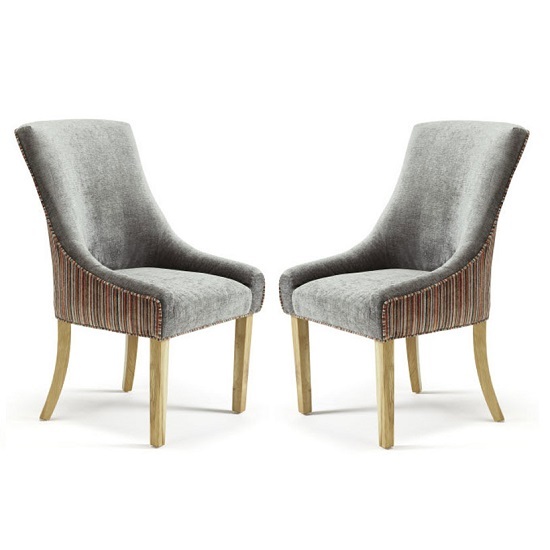 Both printed and mono coloured chairs can be mix-matched for a sweeter, cosier effect. 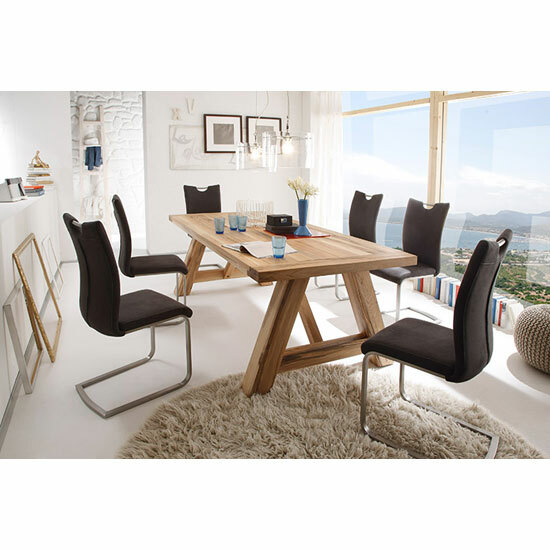 With a large rectangular table, it is possible to line up two different chair types on each side of the table. With smaller, square tables, make sure that you have at least a pair of each chair types. Even though going with traditional dining room setting is the surest means to host a perfect family lunch, give modern minimalistic interiors some thought. A clear glass dining table and colourful glossy chairs can make a really bold statement in your dining room interior. Another thing you should never forget about is the lighting. Use pendant lights over the table and get cosy with floor lamps around it. Or even better, go with both. Finally, choose and display your accessories thematically. Vintage dishes and candlesticks on a sideboard or a console table, for example, will give any dining room a fantastic look and feel. Matching chair upholstery shade to the colour of your rug or drapes is another useful idea. If your dining room is already furnished but you are longing for a new look, some of these simple redesign ideas will teach you a couple of tricks on how to give your room a fresh spin.